(Morning Star News) – The Islamic State (IS) has taken responsibility for gunning down the Italian program manager of a Christian-backed aid group on Monday (Sept. 28) in Dhaka, Bangladesh. An online statement claiming to be from the Islamic extremist IS said a “security detachment” from the terrorist organization had followed Cesare Tavella of the Netherlands-based Inter Church Coordinating Committee (ICCO) before shooting him with “silenced weapons.” Reuters reported that police were not aware of the claim and had not confirmed it. If true, it would be the Islamic State’s first attack in Bangladesh, where Islamic extremists have vied to turn the South Asian country into a state ruled by sharia (Islamic law). Tavella was reportedly on his evening jog when gunmen on a motorcycle caught up with him and shot him. A rural development worker mostly in Asia for 20 years, he had reportedly arrived in Bangladesh in May to head up ICCO’s food and economic development programs, according to a statement from ICCO. In the Islamic State’s statement, it suggested more attacks would be coming and asserted that citizens of a “crusader coalition” were not safe. Australian, British and U.S. embassies issued warnings to their citizens and personnel. Bangladesh authorities in July arrested the head of Al Qaeda in the Indian Subcontinent, which had claimed responsibility for killing Bangladeshi bloggers critical of Islamic extremism. Last month a blogger critical of Islam and other religions reportedly became the fourth social media activist to be killed in Bangladesh this year. 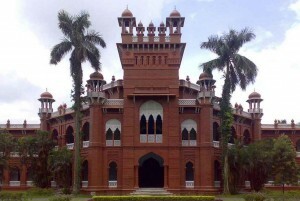 Sunni Muslims constitute 90 percent of Bangladesh’s population, according to the 2011 census, with Hindu making up 9.5 percent of the total population, which the U.S. government estimates at 163.7 million people. The remainder of the population is mostly Roman Catholic and Theravada-Hinayana Buddhist. There are also small numbers of Shia Muslims, Bahais, animists, and Ahmadiyya Muslims.